$3,000 fee with multiple mares. At 2, winner elim. and Final Lou Babic S., elim. and Final American-National S., Bluegrass S., International Stallion S., Abe Lincoln S., Review S.; second in Nassagaweya S., elim. 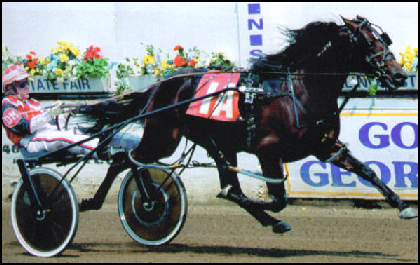 Breeders Crown at Woodbine; third in Hanover Colt S. At 3, winner elim. and Final North America Cup, elim. and Final American-National S., Review S.; second in Tattersalls P., heat Little Brown Jug, New Jersey Sires S. at Freehold; third in Final Windy City P., elim. Meadowlands P.